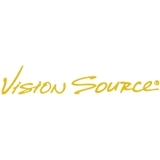 Schertz Vision Source (Schertz) - Book Appointment Online! The doctors and staff of Schertz Vision Source pledge the highest standard of care and products to every patient in our practice family. We are absolutely committed to enhancing your quality of life by using the latest in technology and also by educating you about your health care. We care about your eye care! Dr. Barnes is very thorough and knowledgeable. She is sometimes running behind but that is because she spends time with her patients to really listen to their questions and concerns. She was awesome. Very thorough and took her time with me. Dr. Nowlin is so patient and such a caring provider. He is great with adults and children. Happy to have him serve my family.